ECSSA (Electrical Contractors Safety and Standards Association) was originally founded in 1997 to provide Electrical Contractors with an alternative Regulatory Body to the monopoly which had existed since 1992. It quickly grew in Membership and in 2004 it became the larger of the two Regulatory Bodies and remained so until the CER decision to appoint only one Regulatory Body from 2016 onwards. Almost 6,000 Electrical Contractors were at one stage or other Members of ECSSA in the period from May 1997 to December 2015. Contractors were drawn to ECSSA by its helpful approach to technical advice, its practical understanding of the many problems faced by the industry and the attitude of its Inspectors who sought to educate and assist rather than to penalise. This was the ethos of ECSSA from its foundation and remained so to the end of its time as a Regulatory Body. It will still remain the ethos of ECSSA in its new role as a Trade & Training Association where, free from the constraints of being a Regulatory Body, it can now offer a far wider scope of Assistance, Support and Services to its Members. ECSSA has not gone away and will remain a force in the Electrical Contracting Industry in Ireland. Protect Your interests by being part of that United Force. For any more information please send us an enquiry to info@ecssa.ie. 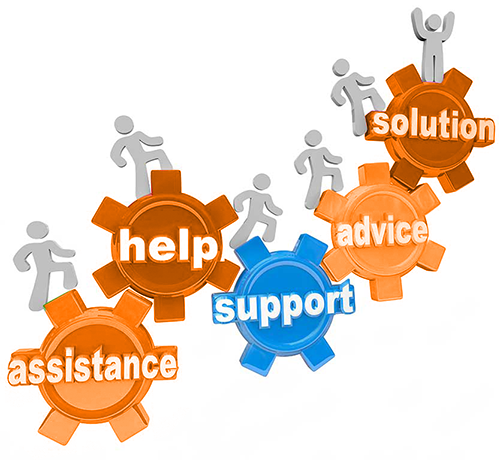 Members have access to our Technical Advice Support team. Find out more about how to contact our technical support team. Members have access to Business Advice on a wide variety of problems which they may face in the course of operating their business. Find out more about how to contact our Business Support Team. You can book online for any of our Training Courses. Please follow this link to see current Course Schedule. ECSSA offer various other service such Instrument Calibration, Business Advice and other services to Members. Find out more about what we offer.